The Living Torah, Weekly Parshah Class takes place every Tuesday evening, 7:30-8:30pm at Chabad. The Torah Studies curriculum from the JLI is used. Click here for class topics. The Jewish Learning Institute is proud to present its newest course With All My Heart: The Jewish Art of Prayer and Spiritual Experience, being offered three times a week beginning May 2019. 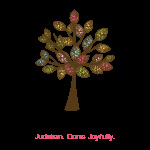 To learn more about the course and to register online, please visit www.ChabadSA.com/JLI.